IAMX are currently on tour and after re-scheduling their April date due to sickness, they finally graced Stockholm with their presence last Friday. Velveteer Aggie was in attendance at Nalen and here is her account of the night. 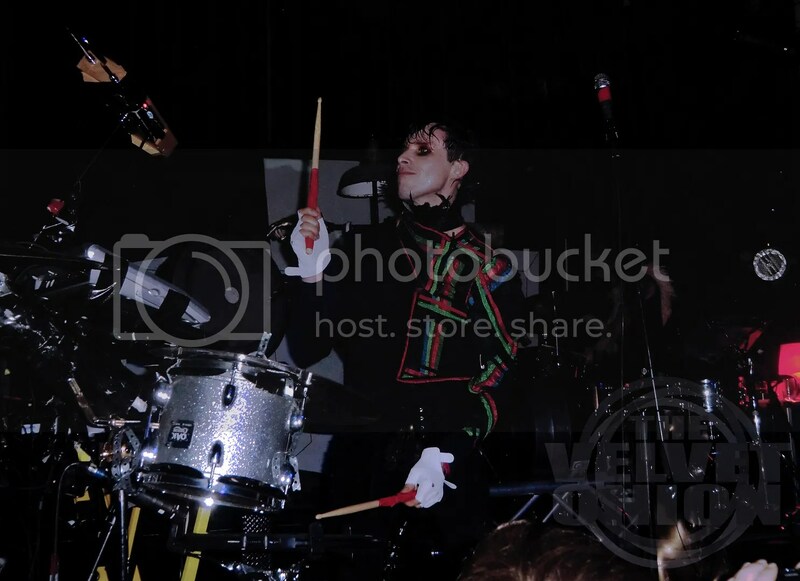 From the moment IAMX stepped on stage it was clear that they were there to give a real show. Chris Corner, Janine Gezang, Alberto Alvarez and Caroline Weber came out dressed up in true IAMX fashion and kicked off the night with Music People from the new album. From there forward, it was great mixture of songs from all the albums with focus on the recently released Volatile Times. The title track Volatile Times and the new single Ghosts of Utopia were well received and my personal favourite Cold Red Light sounded absolutely amazing live. Corner seemed in a really good mood and it showed. The audience was very appreciative, especially the very enthusiastic but annoying guy who kept throwing himself at Chris Corner and Janine Gezang. Nevertheless, everyone attending gave back as good as they got and seemed to know most of the lyrics by heart. IAMX seemed to thrive off of the attention and truly came alive during the older fan favourites such as Kiss and Swallow, President and Think of England. As always, they delivered with stunning vocals and on point playing. This was their third year playing in Stockholm and this time around they had added background projections to the show which really gave the show another dimension and brought it all together visually. After a tremendous applause and a lot of coaxing, because IAMX like to make people work for it, the band came back out for a long encore. They gave us a nice surprise in form of Skin Vision off of the album Kiss and Swallow and ended on a high note with Spit It Out. One thing can be said about IAMX and in particular about Chris Corner, they are perfectionists who like to create an atmosphere. Every show is an experience. However, in the end it all comes down to the fact that IAMX are fantastic musicians and performers who sound just as good live as recorded. This is a feat rarely achieved and the bonus of their live performances is seeing it all come alive. The energy they give when they are on stage is highly addictive. 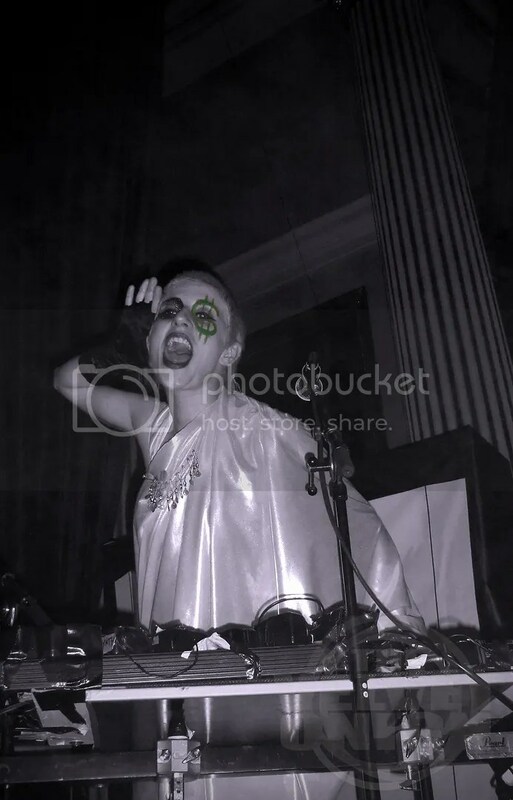 The interesting part about attending an IAMX gig is taking a look at the audience. On this Friday, Nalen was packed with such a mix of different people. 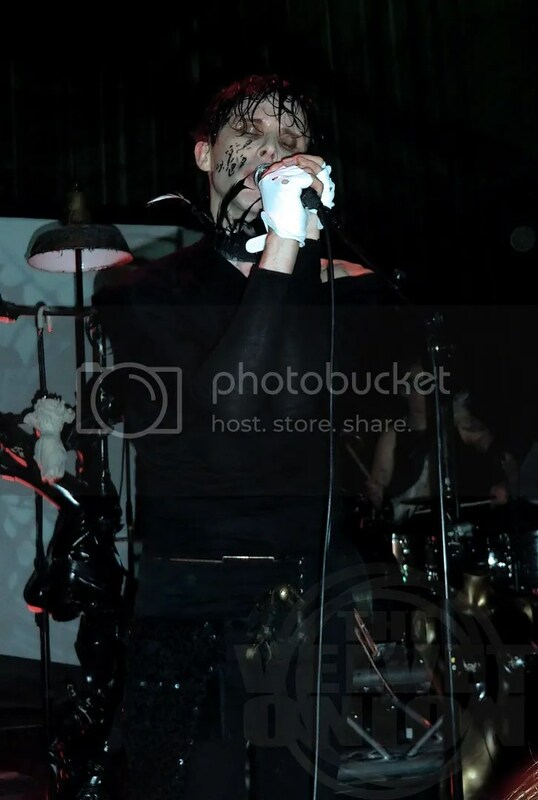 You could find the people you would think would be at an IAMX gig such as the slightly alternative people. However, there was a surprisingly mature audience in attendance too. During the show, a 40+ woman was stood next to me, rocking out and just as into the whole shebang as I was. Highly refreshing and nice to see that Chris Corner’s music reaches and appeals to such a large and varied audience. After the show, I had the chance to have a conversation with one of those unexpected attendees. He was a regular guy in his 30s, wearing a suit and looking as if he came to the gig straight from work. When I expressed my surprise he simply replied with a “How could I not go see them? The music is just amazing!”. So when Chris Corner sings “I promise to be your rockstar, but then rockstars don’t mean anything anymore” (Fire and Whispers) he might be a bit wrong. IAMX deliver every little bit that rockstars should be but in their own way and on their own terms. There really is no such thing as regretting an IAMX show, you always walk out from the venue wanting more. If you can catch them on tour – make sure you do! I know I will impatiently wait for the next time I get to see them live. To find out more about the remaining Fire and Whispers tour dates visit the official IAMX website. Their recently released album Volatile Times can be bought at Boutique IAMX or pre-ordered at the TVO Amazon Store. good review. i was also attending the show and it was amazing!